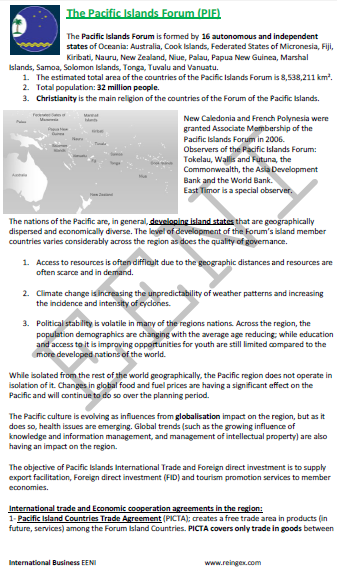 American Samoa, Federated States of Micronesia, Papua New Guinea, Australia, Nauru, Samoa, Cook Islands, New Caledonia, Solomon Islands, Fiji Islands, New Zealand, Tonga, French Polynesia, Niue, Tuvalu, Guam, Norfolk Island, Vanuatu, Kiribati, Northern Mariana Islands, Wallis and Futuna, Marshall Islands, and Palau. 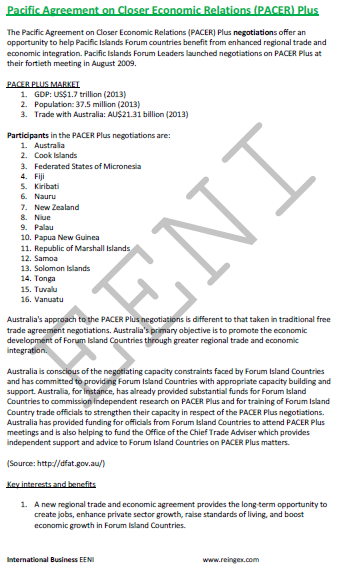 The Pacific Islands Forum (PIF) members are Australia, Cook Islands, Federated States of Micronesia, Fiji, Kiribati, Nauru, New Zealand, Niue, Palau, Papua New Guinea, Marshall Islands, Samoa, Solomon Islands, Tonga, Tuvalu, and Vanuatu. 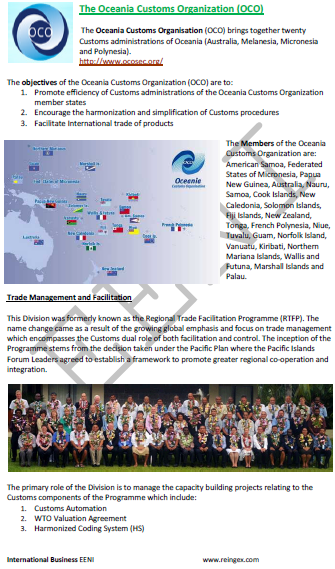 Members of the Oceania Customs Organisation are American Samoa, Federated States of Micronesia, Papua New Guinea, Australia, Nauru, Samoa, Cook Islands, New Caledonia, Solomon Islands, Fiji Islands, New Zealand, Tonga, French Polynesia, Niue, Tuvalu, Guam, Norfolk Island, Vanuatu, Kiribati, Northern Mariana Islands, Wallis and Futuna, Marshall Islands, and Palau. 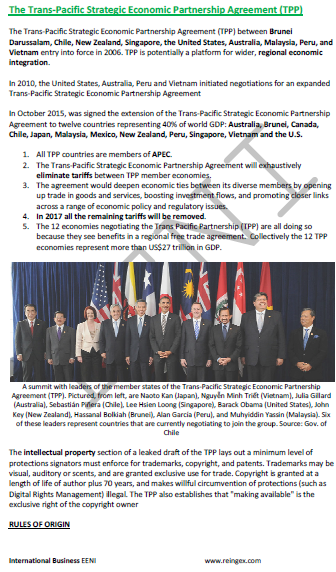 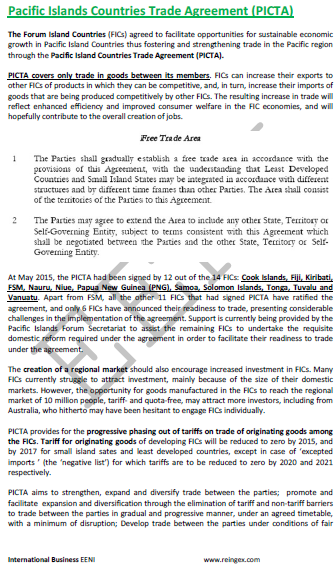 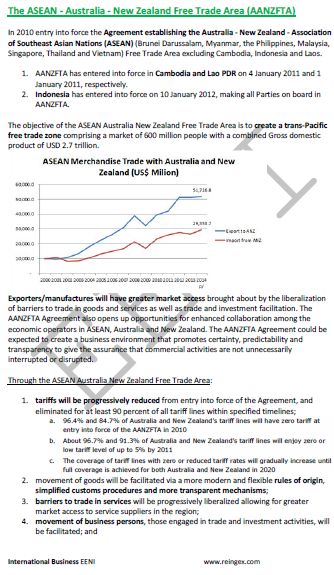 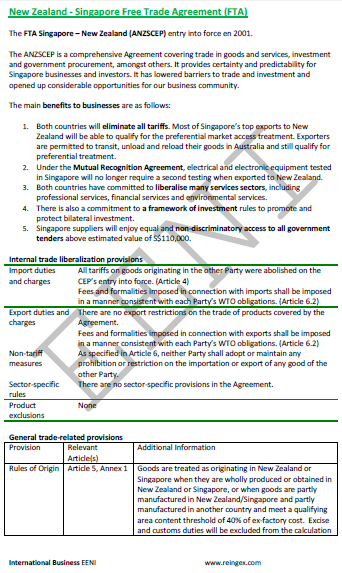 Principles for APEC Cross-Border Trade in Services. 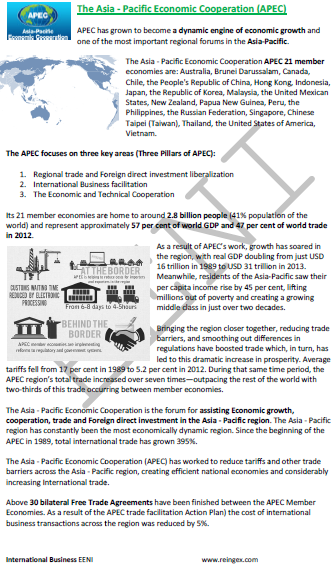 The Member countries of the APEC are Australia, Brunei Darussalam, Canada, Chile, China, Hong Kong, Indonesia, Japan, South Korea, Malaysia, Mexico, New Zealand, Papua New Guinea, Peru, the Philippines, Russia, Singapore, Taiwan, Thailand, US, and Vietnam. 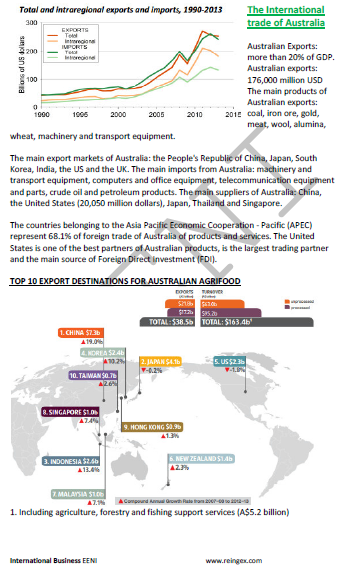 Common Subjects for Australian Students. 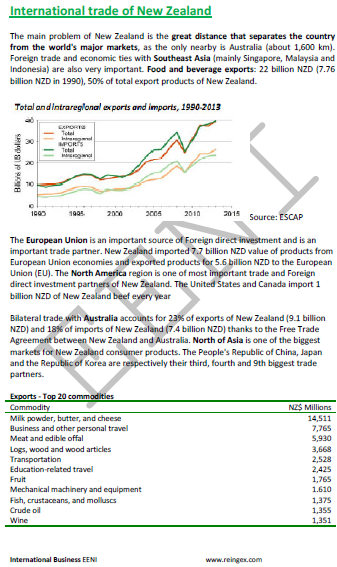 Common Subjects for New Zealander Students. 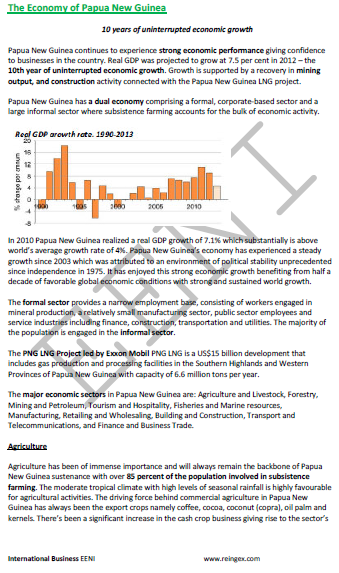 Common Subjects for Papua New Guinean Students.